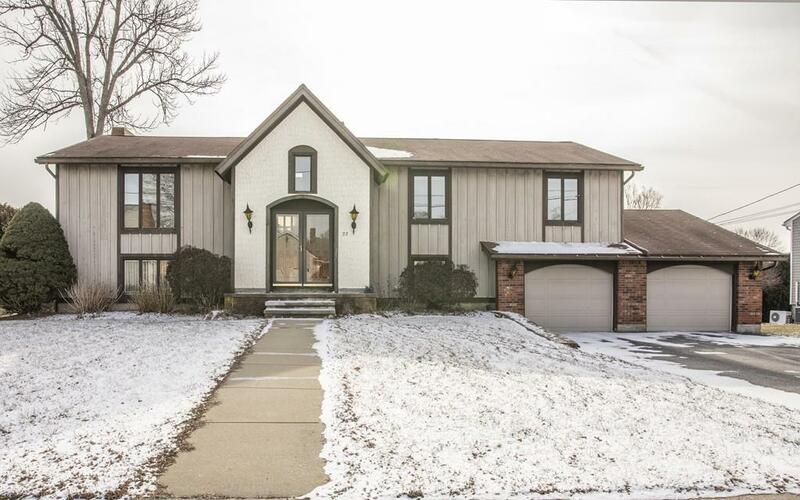 Double door entry with open floor plan, spacious, raised ranch in an excellent location. Large kitchen/ dining area w/ island & cabinets w/ decorative molding, slider to deck, skylights, in-ground sprinklers & central air. Finished lower with fireplace and half bath. utility area with many cabinets and a two car garage!